Cute and incredibly chocolatey! What more could you ask for? 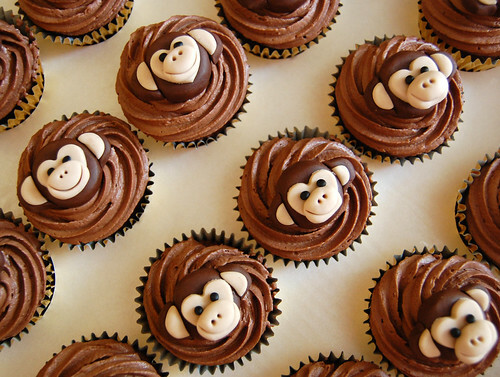 Monkey cupcakes – from £2 each (minimum order 24).